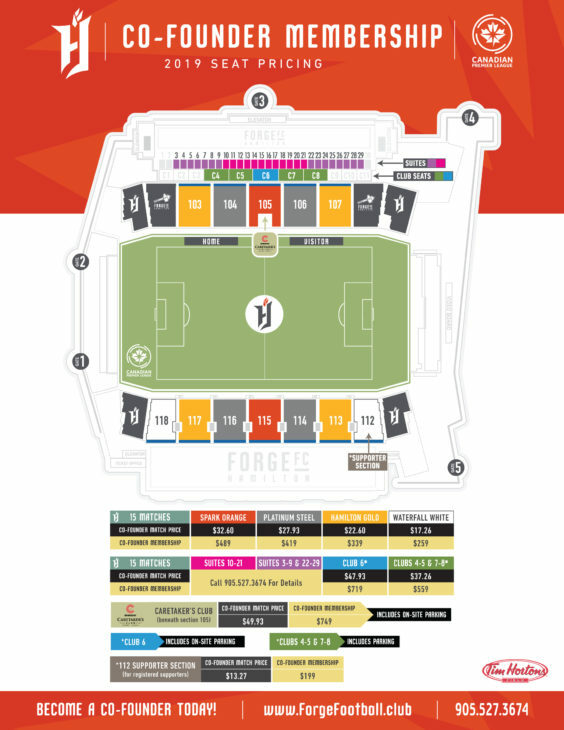 Forge FC season seats are on sale now! Become a Co-Founder now and take advantage of the exclusive, one-time opportunity to be a season seat member in the inaugural year of a professional soccer club. Starting at $17 per game for Co-Founders, Forge FC soccer is the perfect mix of family-friendly affordability and excitement with friends. Click here for a complete list of Co-Founder season seat membership benefits. The 2019 schedule, flex packages and individual game tickets will be announced early in 2019!